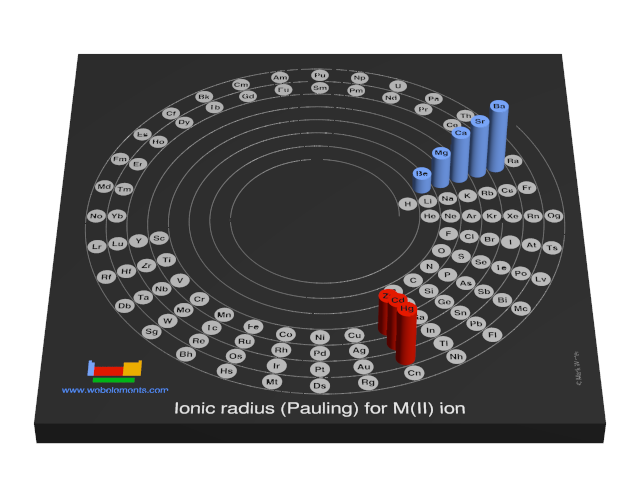 Image showing periodicity of the chemical elements for ionic radius (Pauling) for M(II) ion in a periodic table cityscape style. 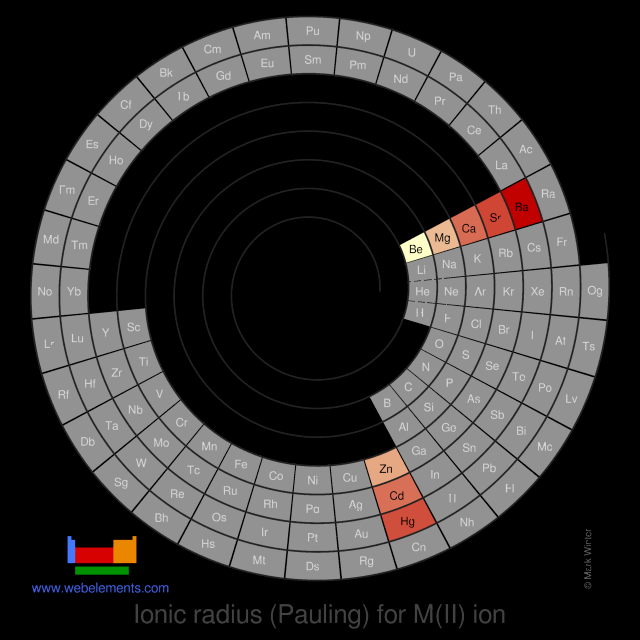 Image showing periodicity of the chemical elements for ionic radius (Pauling) for M(II) ion in a periodic table heatscape style. 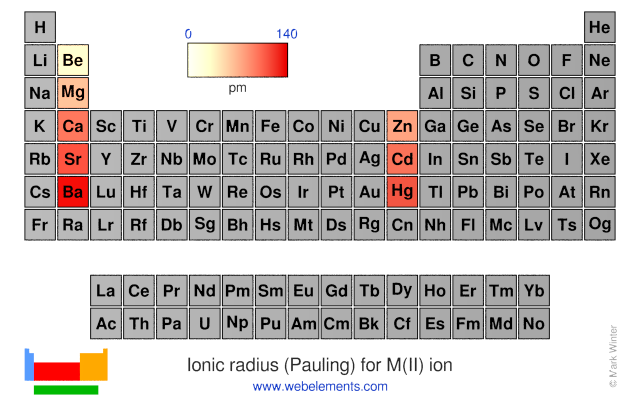 Image showing periodicity of the chemical elements for ionic radius (Pauling) for M(II) ion in a spiral periodic table heatscape style. 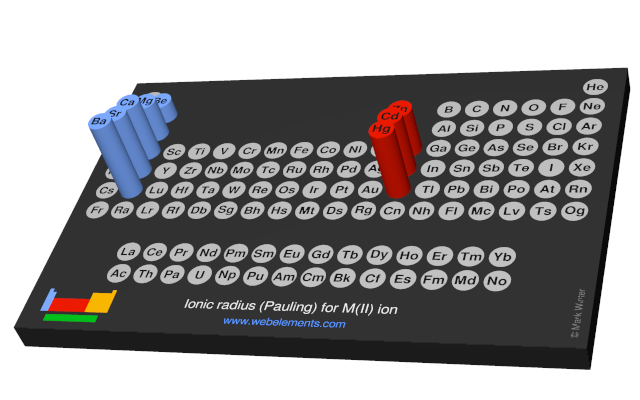 Image showing periodicity of the chemical elements for ionic radius (Pauling) for M(II) ion in a 3D spiral periodic table column style. 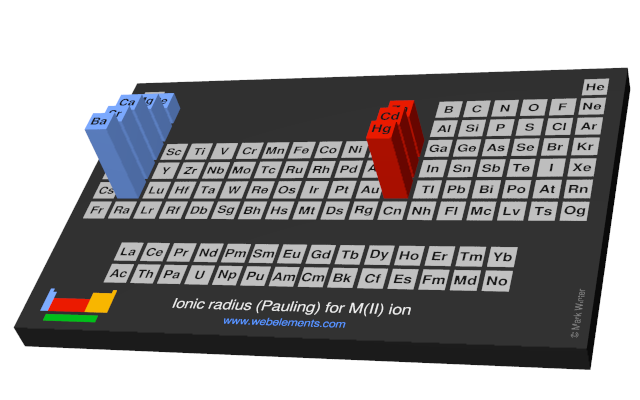 Image showing periodicity of the chemical elements for ionic radius (Pauling) for M(II) ion in a 3D periodic table column style. J.E. Huheey, Inorganic Chemistry: Principles of structure and reactivity, 3rd edition, Harper International, New York, 1983, ISBN 0-06-042987-9.